Next up on our itinerary is a 11-Day European Capitals cruise with pre-cruise in Amsterdam to coincide with the Keukenhof Gardens Tulip Festival. This will be our second trip on Princess Cruise Lines. 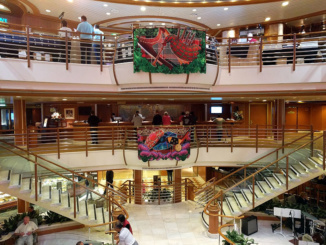 Our last trip on this line was aboard the Golden Princess for an Alaskan Cruise Tour. This time around we are on the Caribbean Princess having just returned from dry dock on April 3, 2017. 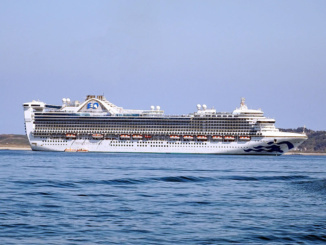 The Caribbean Princess (113,000 Tonnage), built in 2004, holds about 3,114 passengers and 1,200 crew. 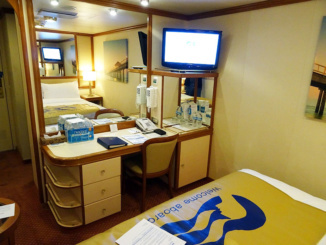 We are lodging in Interior Stateroom 408 on Baja – Deck 11. 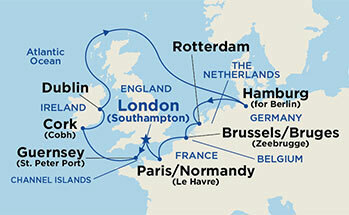 On this itinerary we will visit England, Ireland, Germany, The Netherlands, Belgium and France. We had a wonderful time on this journey aboard Princess Cruises. 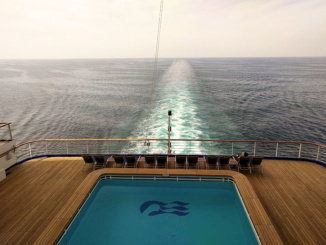 Having the 4 pre-cruise days was a major plus. Amsterdam is a wonderful city with so much to see and do. 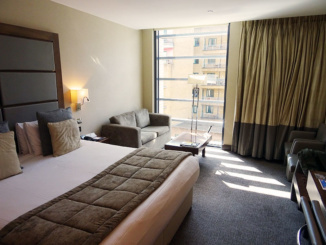 We enjoyed 3 pre-cruise days in Amsterdam at the Park Plaza Victoria and 1 pre-cruise day in London at the Grange Tower Bridge Hotel. 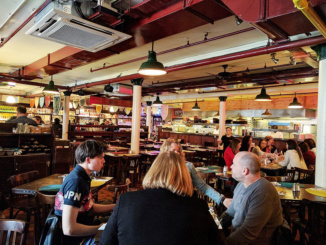 While in London we dined at my favorite Mexican Restaurant Café Pacifico in Covent Garden where I have been a patron since 1984. 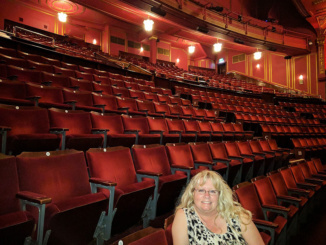 Afterwards we took the London Underground (TUBE) to the west end Dominion Theatre for a showing of An American in Paris. Our ship missed the final port of Le Havre (for Paris) due to the unfortunate occurrence of a dock workers strike on April 30, 2017. This has caused us to change our forthcoming excursion to Versailles in the Fall so that we may visit the Eiffel Tower and Louvre as previously planned.